Backstage.com contributor and winner of the 2015 Readers’ Choice for Atlanta’s Favorite Acting Coach, Erik Lingvall brings with him over 15 years of experience guiding and training talent, throughout the country. As the founder of Catapult Acting Studios, Erik has established himself as one of the go-to coaches for tv/film actors in the Southeast. Originally from California, Erik currently resides in Atlanta, with his wife Jennifer and baby girl Venice. He is dedicated to guiding & connecting his clients to the right people & right path, always reminding his them to enjoy the process as much as the product at the end. 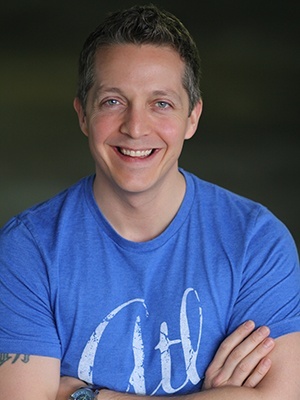 Erik’s motto: “Professional training, designed to create better people.” Below are a few of the projects Erik’s clients can be seen in projects like: The Walking Dead, Manhunt: Unabomber, Modern Family, Disney’s Bunk’d, Dog with a Blog & Kickin’ It, FOX’s The Gifted, Nashville, The Hate U Give, Maze Runner, Noah, Daddy’s Home, The Big Short, Terminator Genisys, Batman V Superman: Dawn of Justice, and many more.